Going to a wedding? You can now rent a lehenga instead of selling an arm and a leg to buy it. Flyrobe, India's largest fashion rental service, was founded in September 2015 by IIT-Bombay graduates Pranay Surana, Tushar Saxena and Shreya Mishra (who missed our age cut-off by three months). Passionate about India's sharing economy, the trio realised that fashion as a sector lent itself well to it. No better place to launch this company than a country that saves up for and loves lavish wedding days. 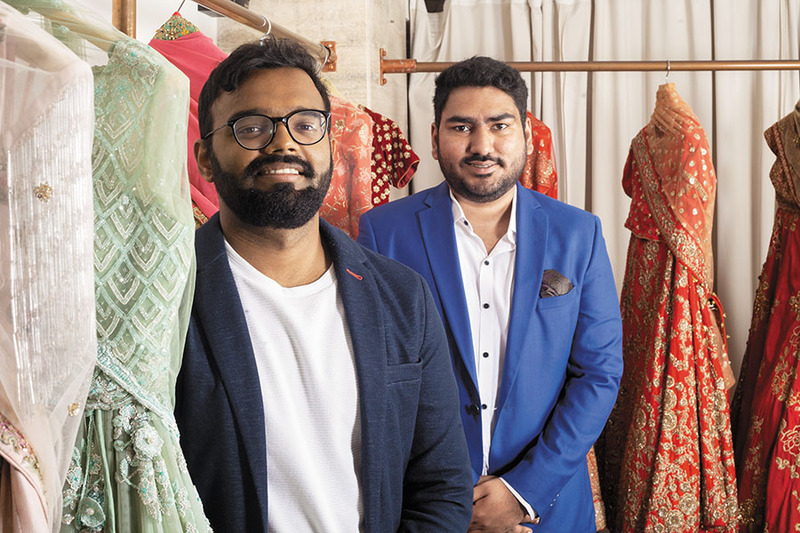 The Flyrobe app—plus six stores set up across Mumbai, Delhi, Bengaluru and Pune since 2017—targets people who tend to buy expensive clothes for special occasions, but hardly wear them later. “Initially, we started off with western wear but later realised that ethnic wear is more in demand. We scrapped that business and started afresh,” says Surana. The founders claim to have clocked an approximate revenue of $2 million last year, which they expect will increase three-fold in 2019. Almost 65 percent of their business is generated online and rest from brick-and-mortar stores. The company has raised $11 million from Sequoia Capital, IDG Ventures, GREE Ventures, and several angel investors.